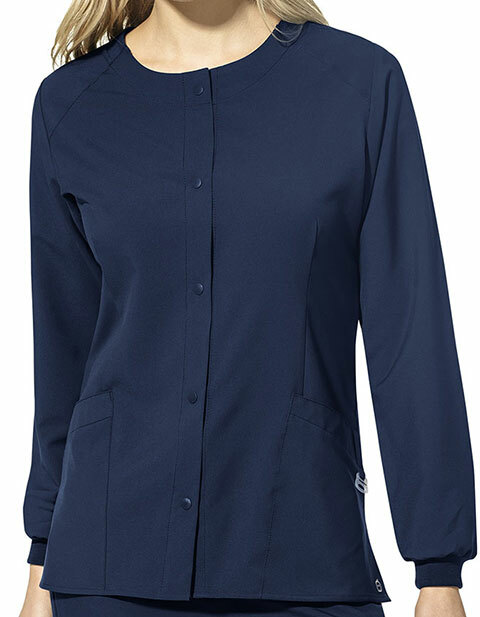 Layer up in style with WonderWink 9155 Women's Crew Neck Warm Up Jacket. 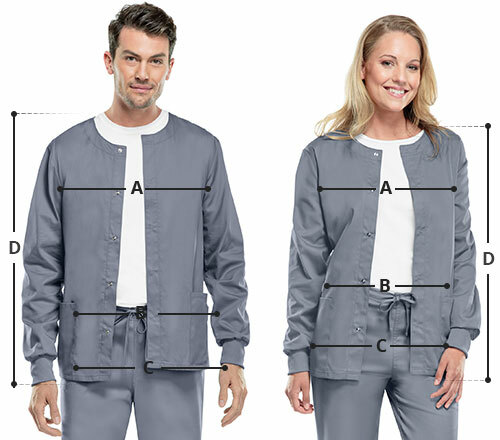 The WonderWink fit and True-Plus fit jacket is snug and comfy featuring top loading 2 lower pockets. With side vents, hidden utility loop and WonderWink silicone ring, the jacket is a work essential.